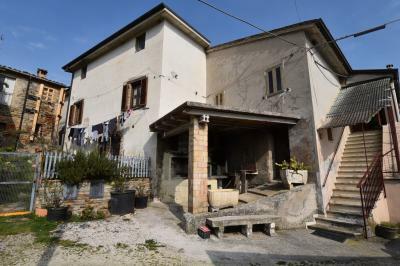 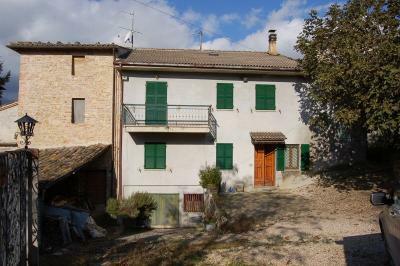 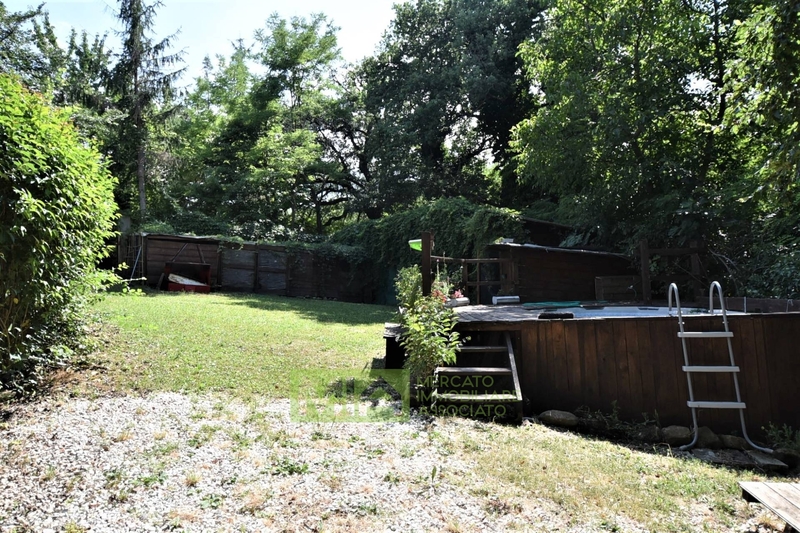 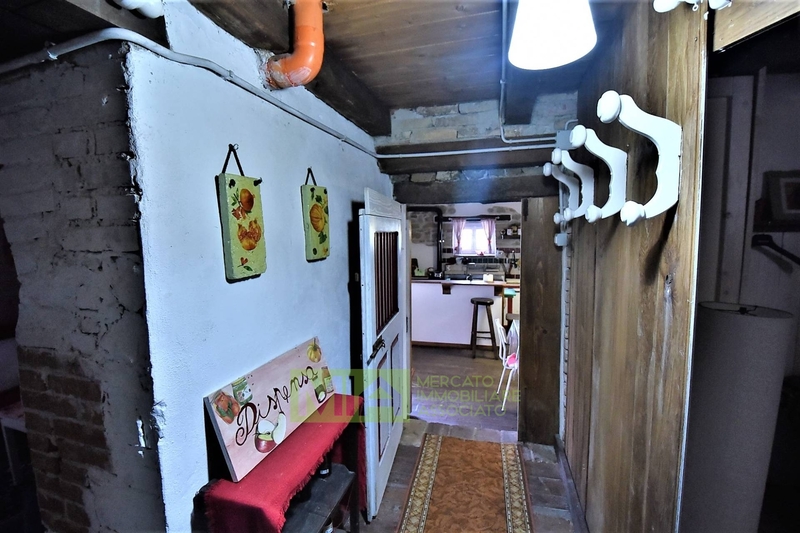 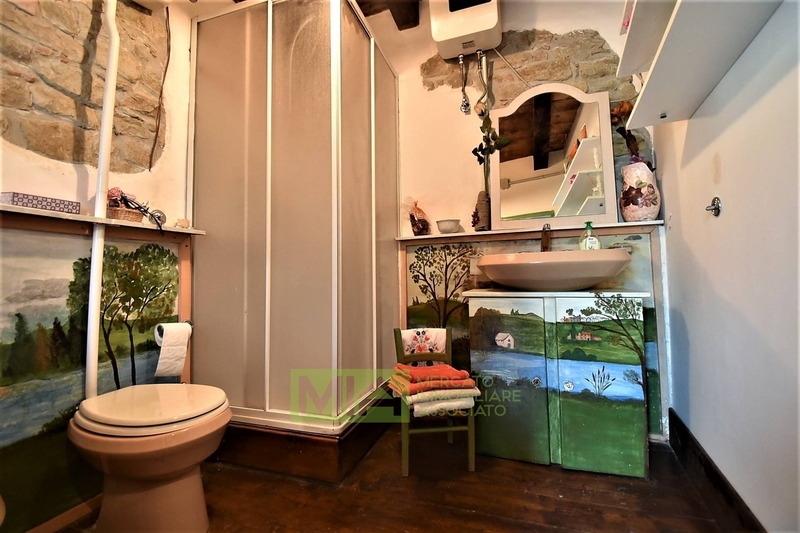 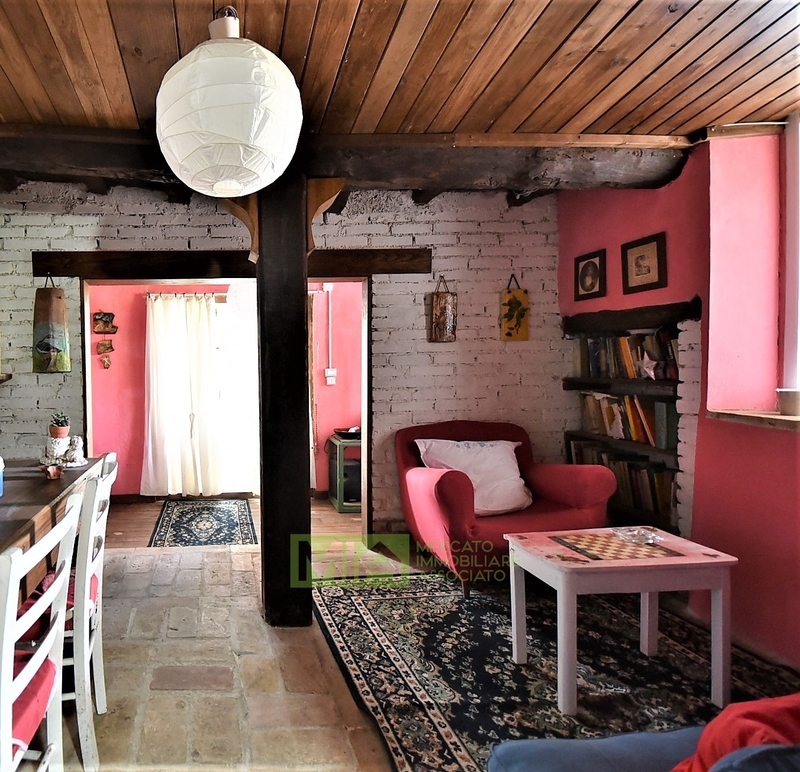 Inside an old country hamlet is this caracteristic home that, thus being attached to another one, still enjoys a full privacy; it comes with a private courtyard , partly used as parking, partly as garden , all fenced and protected with two driveway gates. 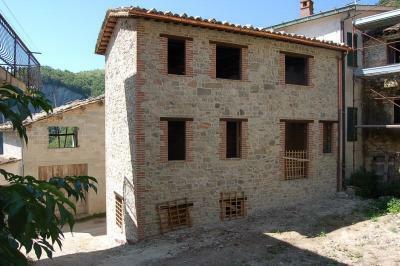 The property, built before 1967, has been perfectly maintained and it is now being used as holiday home. 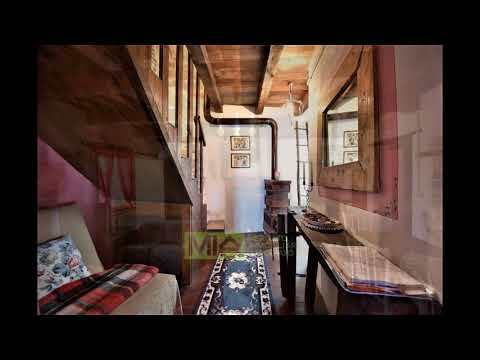 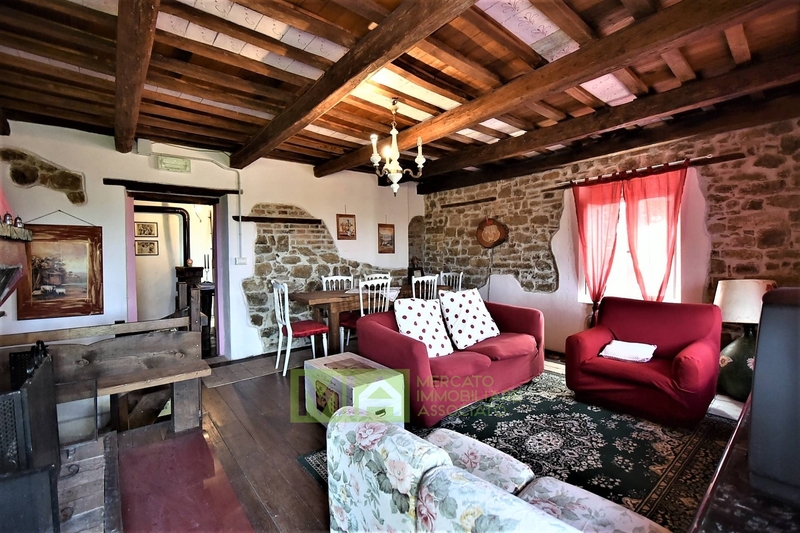 The house is furnished with taste also using old, country materials. 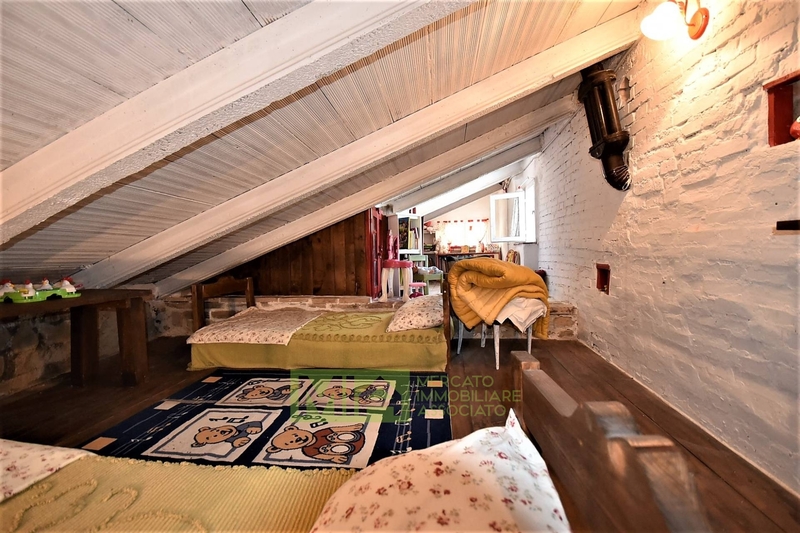 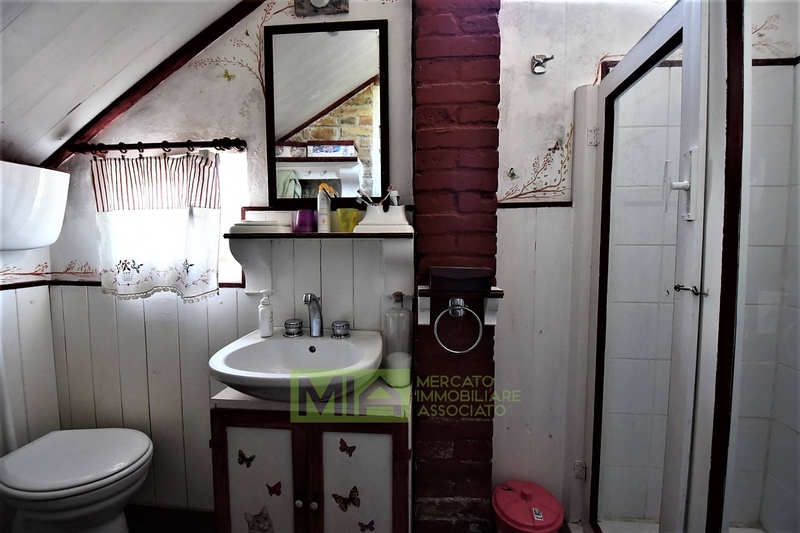 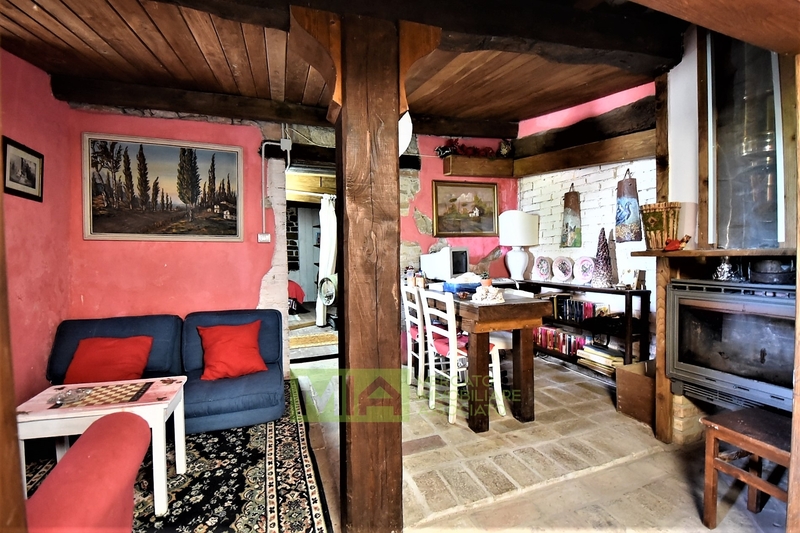 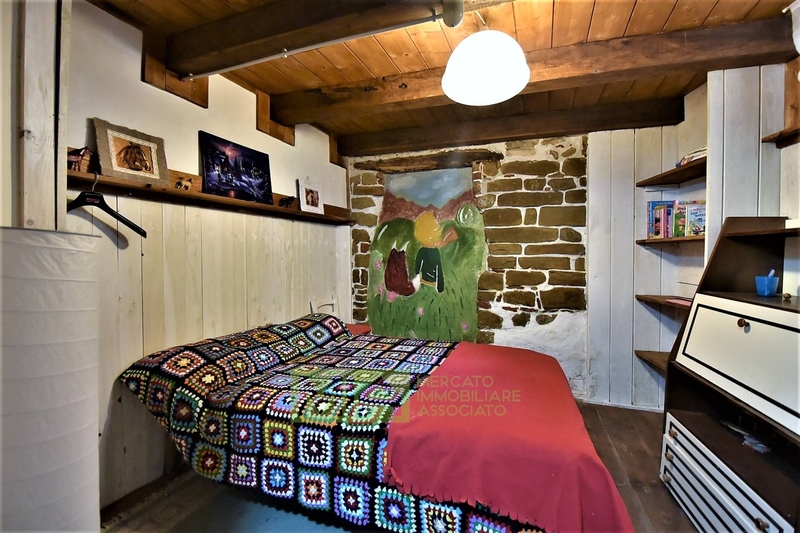 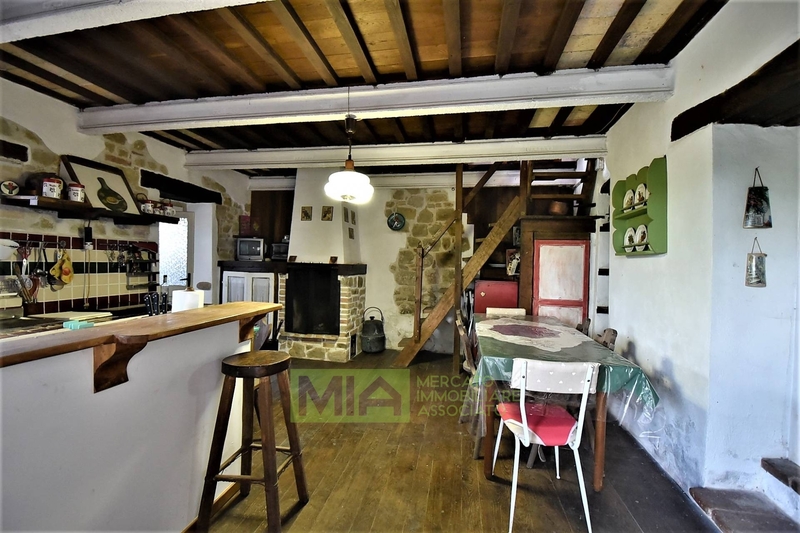 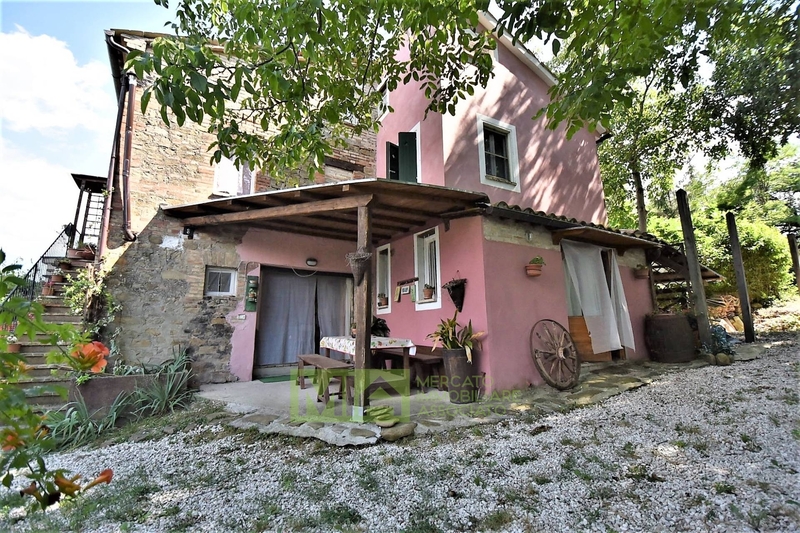 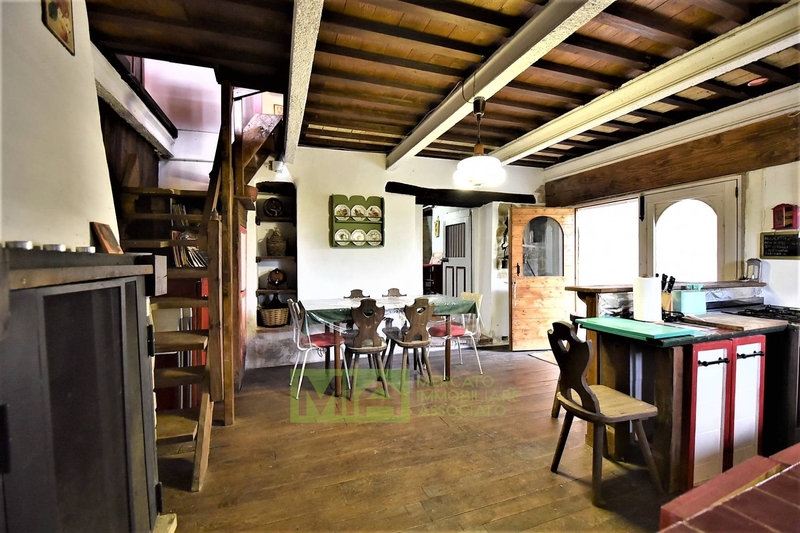 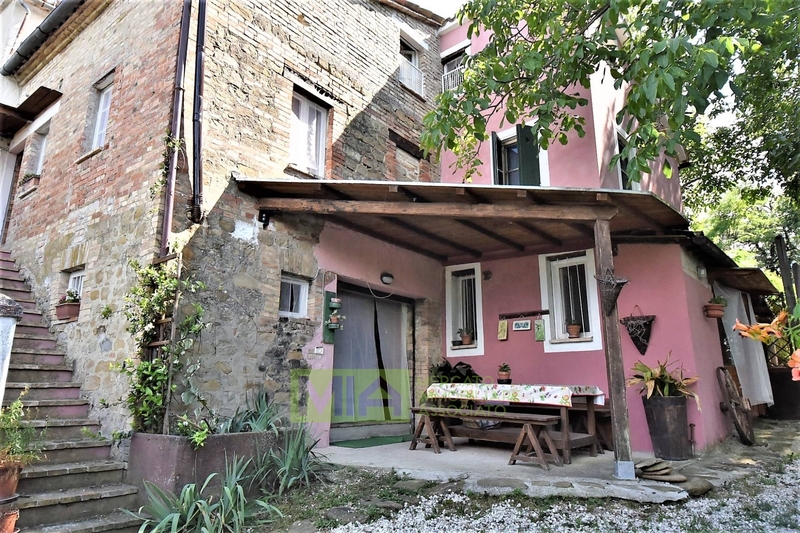 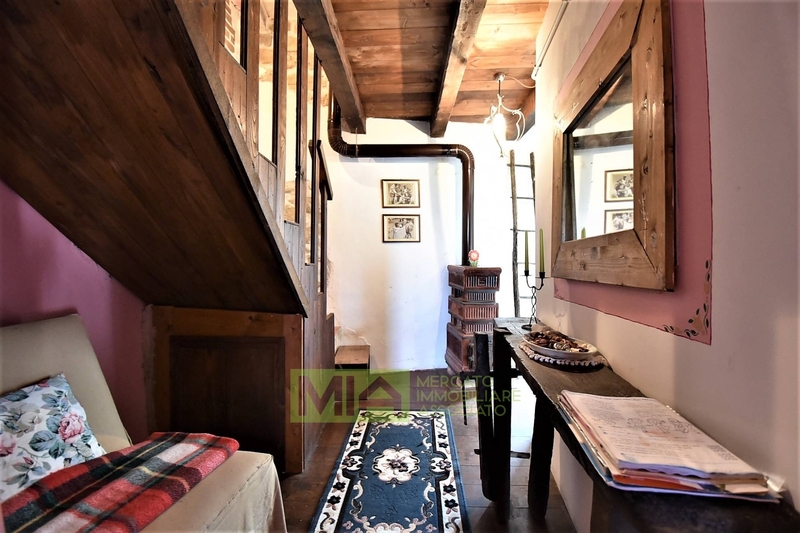 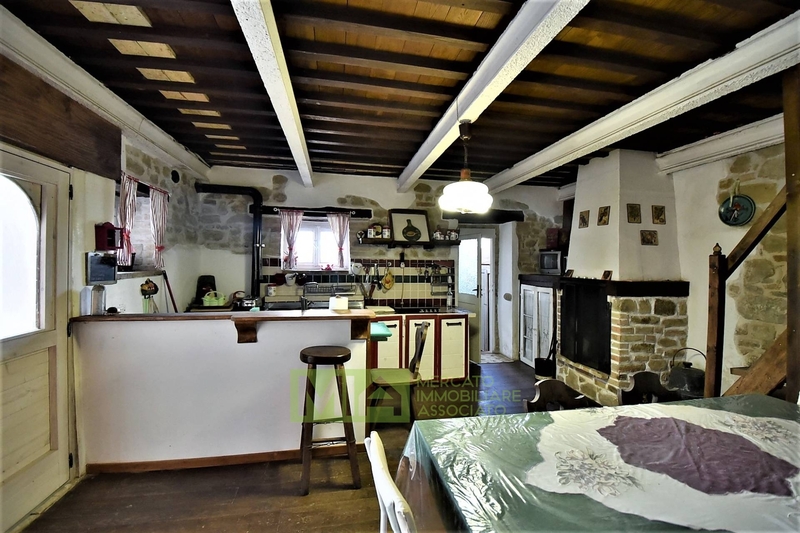 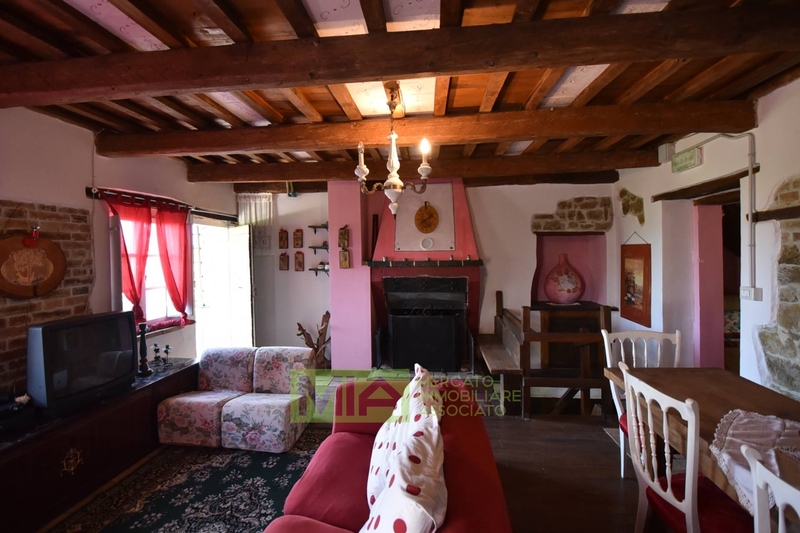 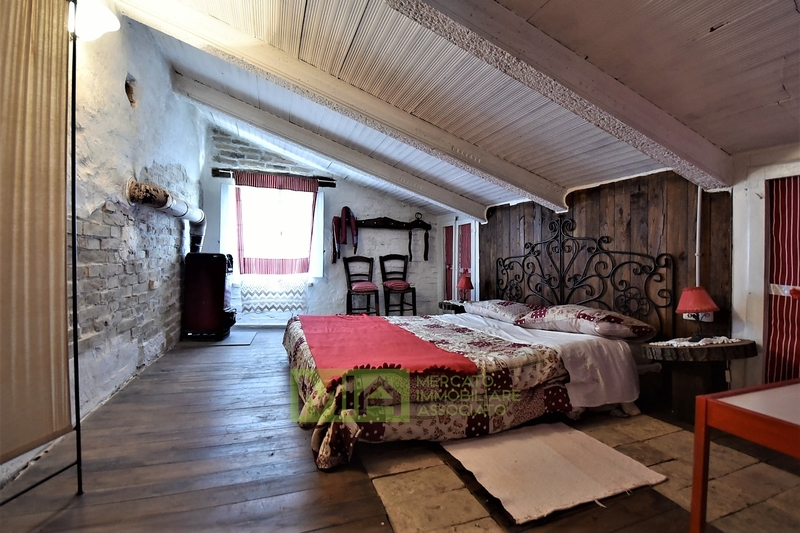 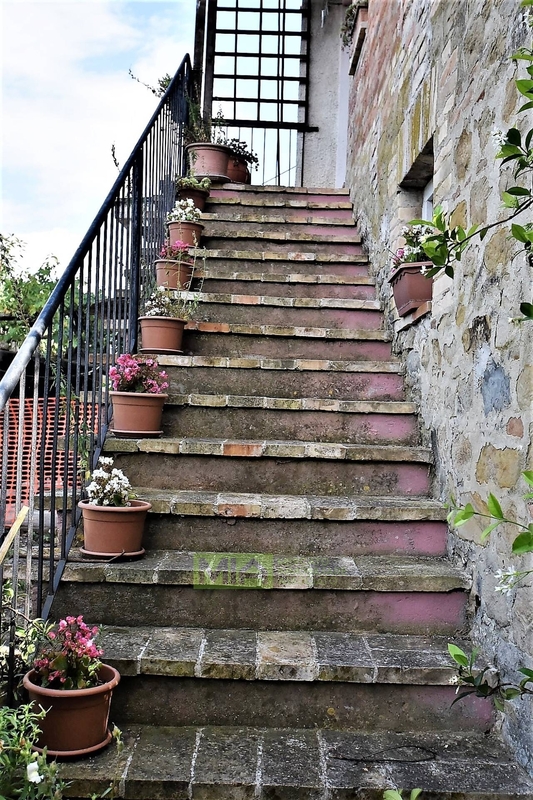 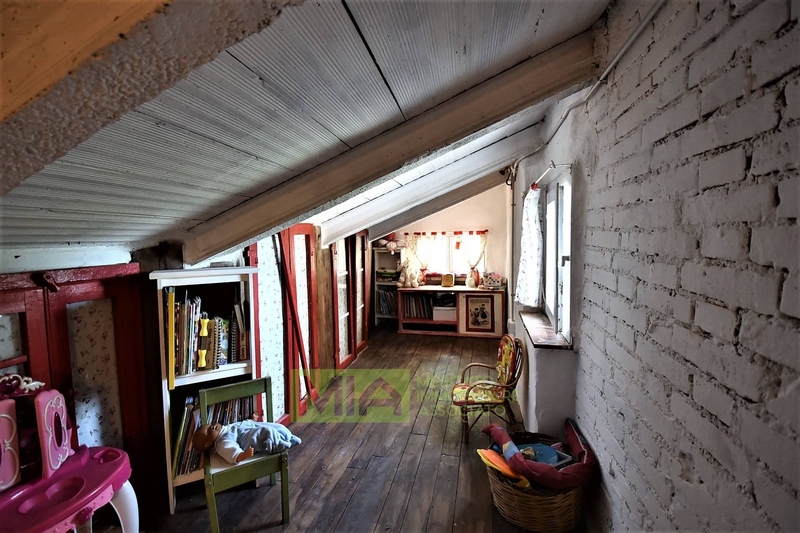 It is split between 3 floors where at the ground floor is the entrance , livingroom, kitchnette with fireplace, bar corner/cellar, bedroom, dinette with panoramic window overlooking the garden, bathroom and , finally, a comfortable portico where enjoy al fresco meals in the summer hot days. 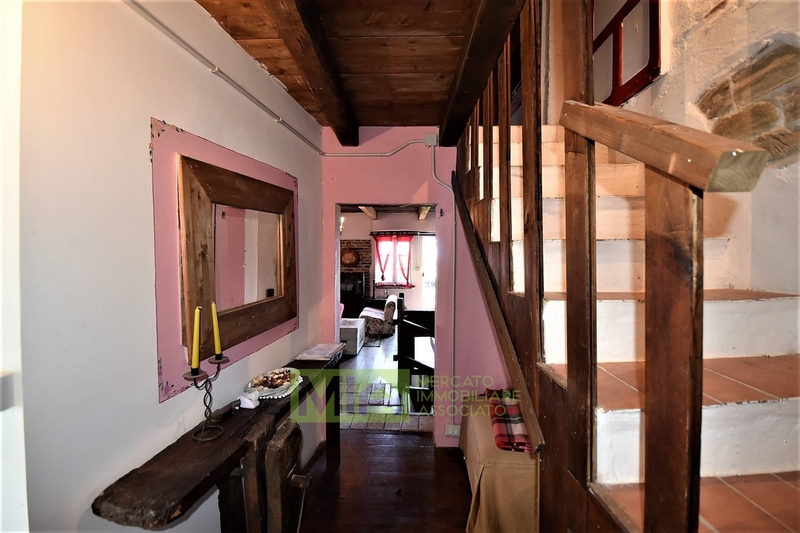 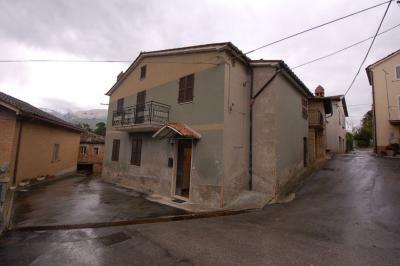 The first floor , accessible from two staircases (one external and one internal in wood) consists of: elegant livingroom with exposed stone walls, en suite bedroom, bathroom and a corridor with a french window leading out to a small terrace; then an internal staircase leads to the loft which hosts two large bedrooms. 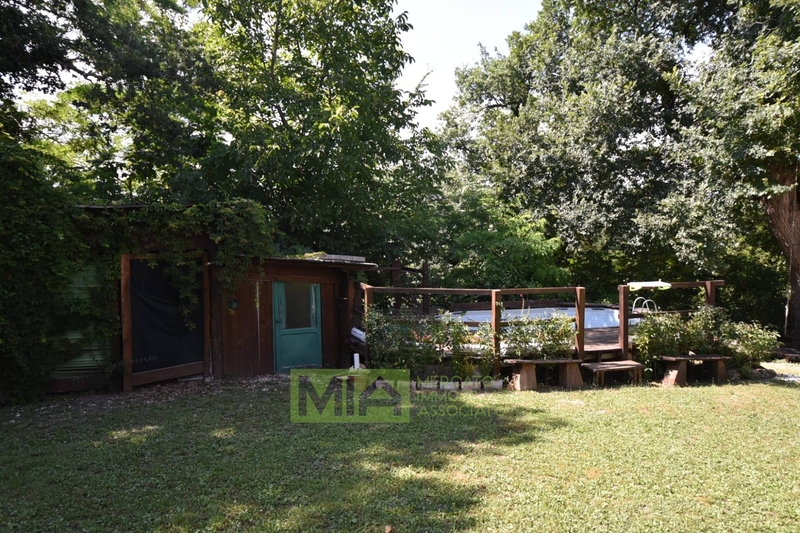 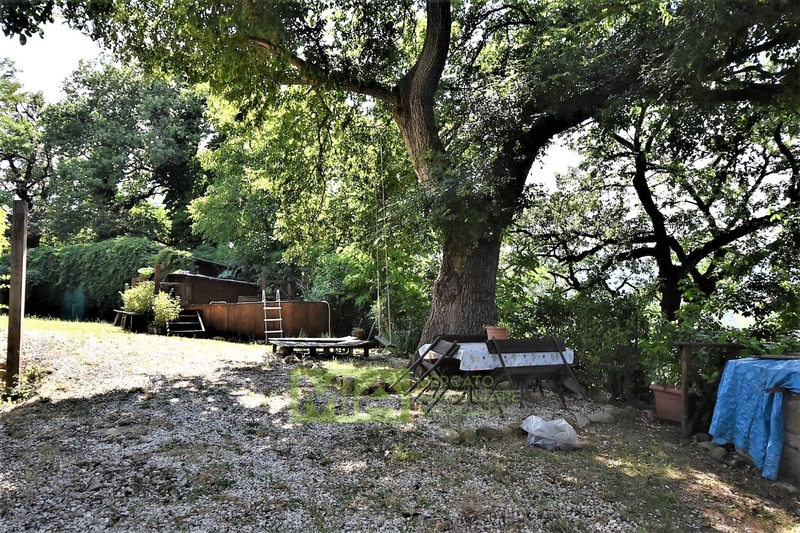 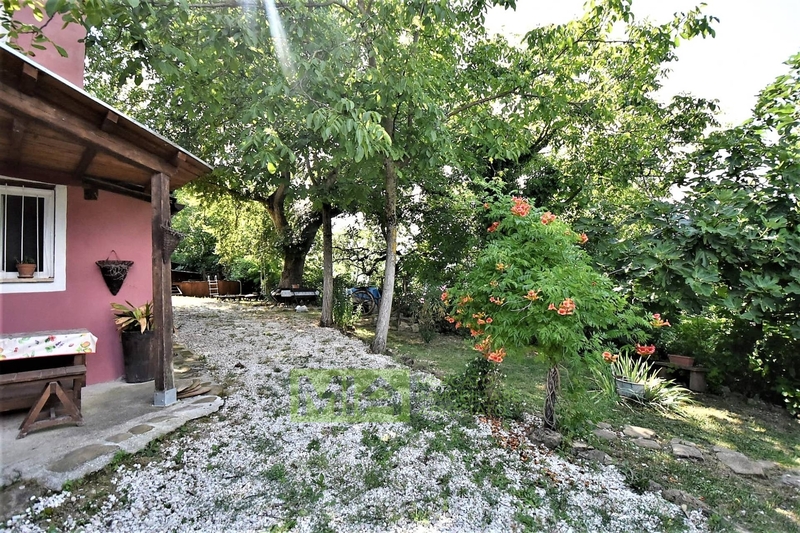 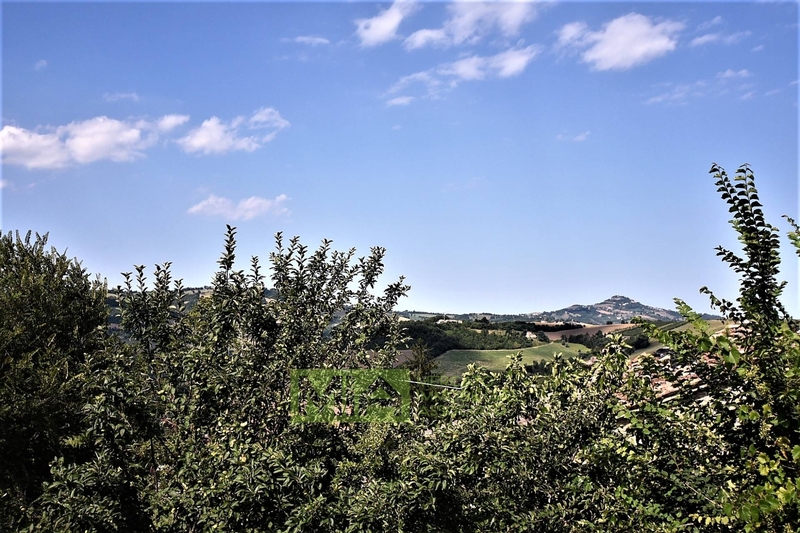 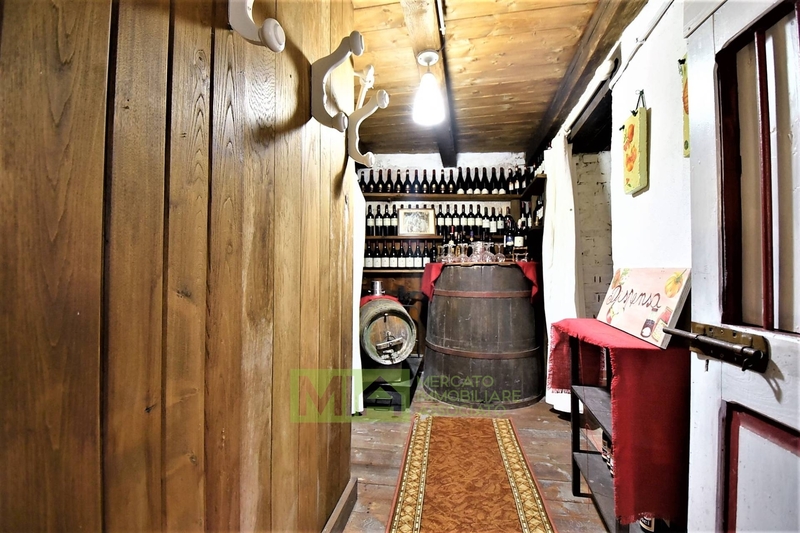 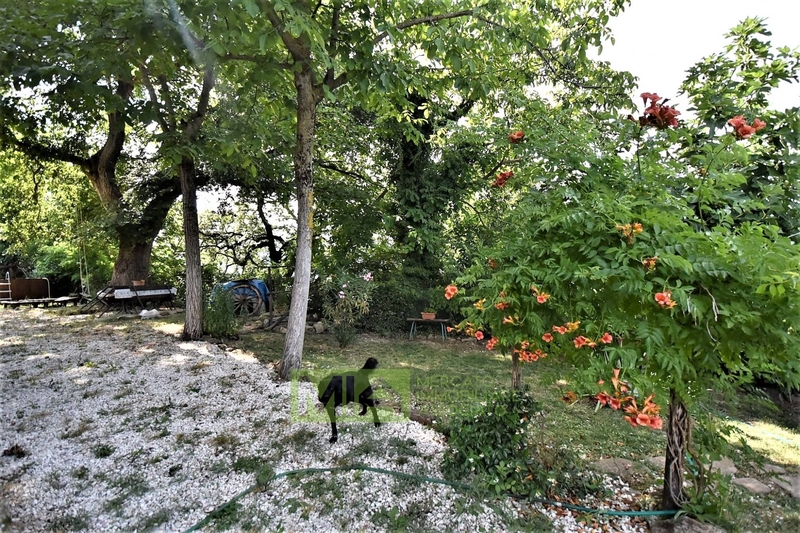 The property is enriched by different fruit trees , century oaks, elms, flowers and by a plot of land of circa 18.000 sq.mt , partly sewable and partly wood which also includes a nice vineyard.